I pulled this from the RoadsideWonders Magical Mystical Wayback Time Machine! These photos were taken on my way home from Mohawk in 2006. I thought that I lost them in a hard drive crash awhile back … but it turned-out that I also had copies of some of my photos in a long-forgotten photo-sharing account. Yay! I found the Webster Wagner Mansion completely by happenstance. I had a fierce headache and I pulled into the chain drugstore that sits (rather incongruously) beside the mansion. It totally screams The Adams Family or The Munsters! 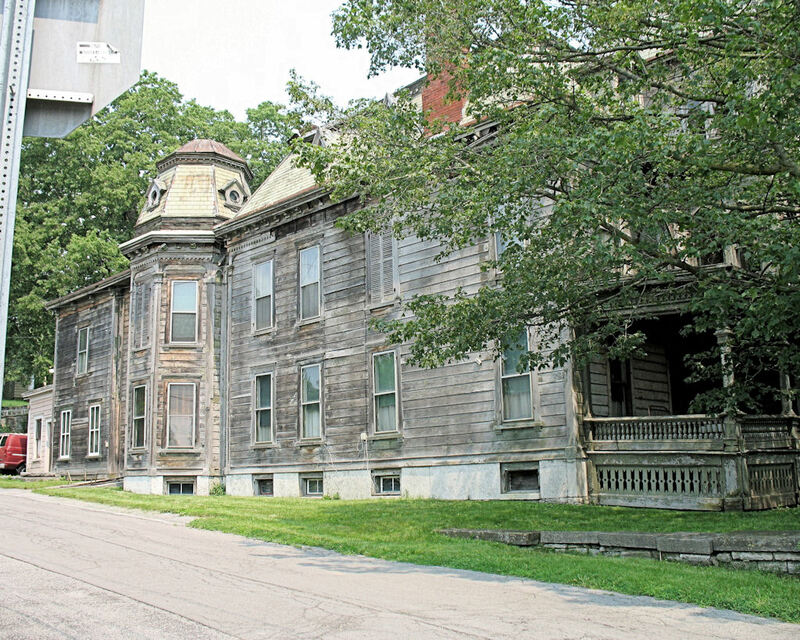 It’s listed in the National Register of Historic Places; but there seems to have been little done to preserve it. When I was there in 2006, it appeared that there were inhabitants (at least in the rear portions of the house). The windows were clean – and were perhaps new; but little else of the exterior seemed as if it were being cared for. 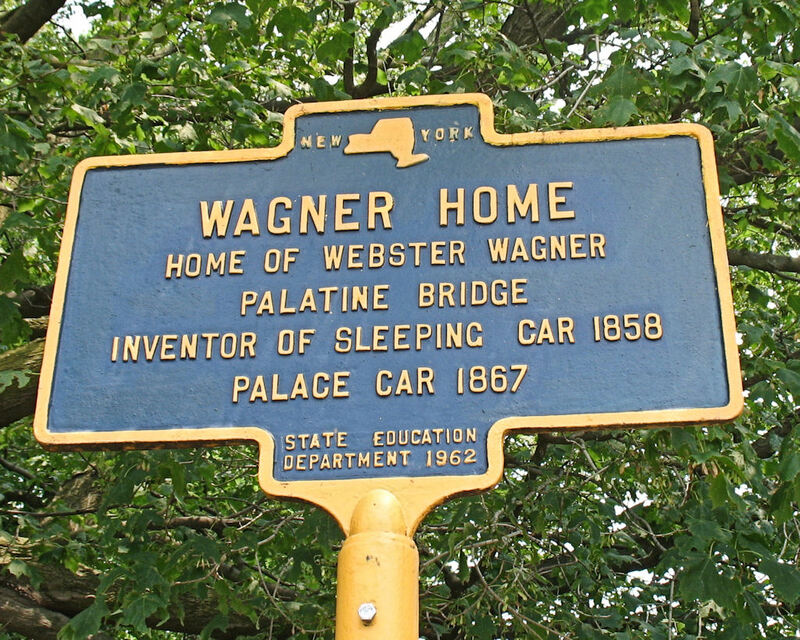 Webster Wagner (inventor of luxury sleeper cars and a New York State Assemblyman) lived a very interesting life … and died in a most ironic manner. See links below to learn more about Wagner’s life and his tragic death. I wanted to let you know this house is now for sale by the owner. Not sure if you know anyone interseted in its’ historical value. I wish that I had the money to restore it! I WONDER WHAT THE FLOOR PLAN WAS LIKE? My Great Grandparents owned this house from the 1920’s through to the early 80’s when it was sold to two men from NJ. I spent a lot of time in this home as a child playing in the rooms and helping my Aunt to spring clean. The floor plan was rather simple. When you entered from the front porch there was foyer that you stepped into. The floor was black and white marble tiles and the baluster and railings for the staircase to the upper floors was made of mahogany and carpeted with red aubusion carpet. To the left was the first of mirror living rooms. The dominate pieces in these rooms were matching french glass floor to ceiling mirrors with marble bases for sitting. Both rooms had fireplaces. Oriental area rugs were on the floor. The floor was parquay. Off the second living room was the dinning room. (In the picture you are standing where the bow windows are on the side of the house). The dinning room was darker and had wood paneling 3/4 of the way up the wall. It was the old bead board. There was a fireplace in that room to wiht a grand mirror over it. The show piece of that room was my Great Grandfathers hand made maple roll top desk which sat in the bay window. Grandpa use to like to sit there and read and smoke his pipe. Off that room, in the back, was another room. Grandpa used it to store his edison’s and his records collection. My Grandpa was an antique dealer who specialized in tin records, 78’s, Edison and early recording machines. We often played with them as kids. Off that room in the back was a mud room/entry. The kitchen was off the dining room and it was small. There was an old cooking stove, wood and gas and a wooden kitchen table with chairs. I sort of remember a hutch with a flour sifter in it on the one wall. The cupboards went to the ceiling with glass doors. There was also a butlers pantry off the kitchen where the puff buzzers were located for the rest of the house and a dumb waiter. The puff buzzers were tubes built into the walls of the house that allowed a person to blow into the tube, the breathe would then travel to the kitchen were a series of bells would ring. This would alert the staff if someone on the second floor needed something. They were cool to play with as a kid. We drove my Grandfathers Siamese cat nuts with them…lol. Following the hall out of the kitchen back toward the front door you would find a gentleman’s library and another smaller sitting room. The gentleman’s library was fashioned after an English Gentleman’s library of the 18th century. The floor to ceiling book shelves were mahogany and there was a ladder that ran around the top of the room to access books on the upper shelves. The walls in the hallway leading back to the front foray were also wood paneled. When you went up stairs all the bedroom were on the street side of the building and they were all large. I don’t remember them having fireplaces. I do remember lots of big beds and big Victorian type furniture. I remember in my Grandfathers room he had an enormous sleigh bed with a mans dresser and a woman’s dresser and a matching vanity for my Great Grandmother (she died in the late 1950’s. )I can remember playing with her Egyptian and french perfume bottles. My Great Grandfather died April 4, 1987 at the age of 96. My Aunt has also passed on in the 1990’s. My Great Aunt had an apartment at the top of the second floor stairs. She has a sitting room, bathroom and a large bedroom. She loved all things Oriental and I can remember her decorating the rooms in an oriental style. I have some of her pieces in my own home. The third floor was the same type of set up but rooms were smaller. This would have been living quarters for the servants. There was also a room set up as a school room. You could also go into the cupola but Grandpa was forever chasing pigeons away. On the lawn side of the home in the back second floor was a two bedroom apartment. I would like to clear up some misconceptions of the house. One, it’s not haunted by anyone. Two it was never used as a movie set for any Hollywood movie or cartoon. It was a lovely grand old home that just hasn’t been taken care of in the last 30 years. 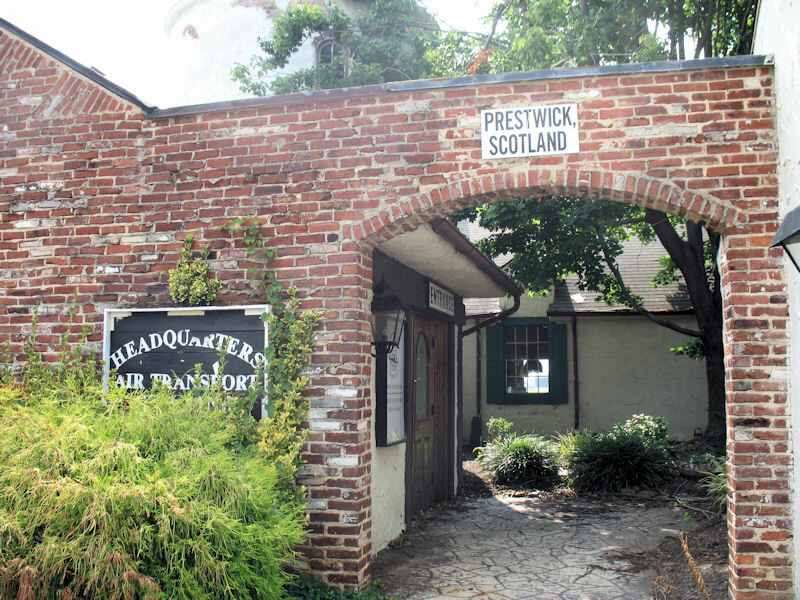 It’s a shame that it is now condemned and will probably be torn down like the Roosevelt house that use to stand next door. I wish that I had enough money to purchase the home and restore it to it’s glory years but unfortunately that is never going to be in my budget. Webster Wagner’s great nephew lives in NJ and my family has been in touch with him about the house. Unfortunately, like myself and my family were are all older and unable to purchase the home. The taxes in NY state would kill you to own this house. I contacted several govenement officials about the condition of the house but have been given the same line by them each time. They sorry but there is nothing they can do because it is privately owned. What a horrible shame for a beautiful home with such rich history. Thank you so much for sharing your memories, Robine! I agree, it’s a horrible shame to see that once beautiful home falling to pieces. 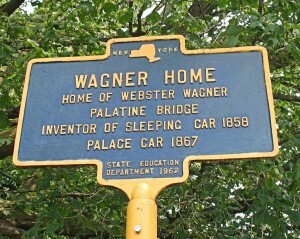 My mother, and two of my aunts have been in contact with the great, great, great grandson of Webster Wagner. He is currently working on purchasing another Wagner property in the area and is interested in purchasing the mansion. Unfortunately, the actual owner of the mansion can not be located. No one knows where he is or where he seems to live. According to the tax collector in Palatine Bridge the taxes are current on the house. Now here is the strange part. A person walked into the tax office with an envelope full of cash and said it was for the taxes on the house. The tax collector said that she has no clue who the person was and they did not wait for a receipt or leave their name. It’s all just strange. If anyone hears any information (even rumors) about the owner please notify me. My mom is contact with Webster Wagners grandson and she will give him a call. I do have a number for the owners if you are interested. Fascinating! I’ve lived in Canajoharie for almost 20 years and never could find anyone familiar with the interior. Evidently all the tile and fruitwood decor has been stripped. 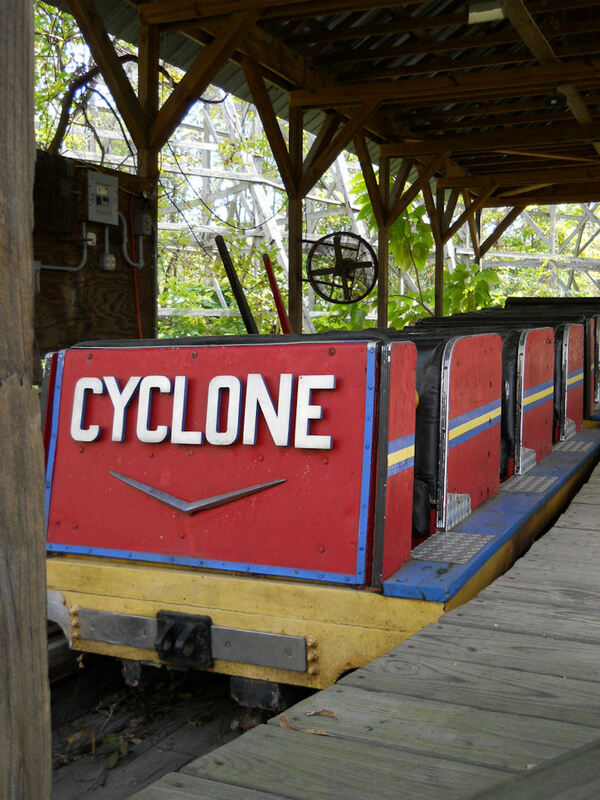 There was never any indication it had come up for sale — nor rumors. A profound loss; by far the grandest house remaining in these two towns. I’d love to know if you have any photos? It would be worthwhile to document what’s known of it with the local history section of the library. The only phot I have of the house is one with my Great grandfather and my brother sitting next to the player piano that was in one of the front parlors. I’ll see if I can find it but it’s really just a pic of them. Feel free to share the photos with anyone you would like. If you need any more information regarding the trip we took or how we found the home, please contact me. Thank you for the (unfortunately sad) update. I haven’t gone through that area since ’06 but I have intended to a few times. When I was there last; it almost seemed as if someone was living in the back section of the house (there were vehicles parked back there and curtains in the window). I guess that I hoped someone was doing work on it. I’m guessing that with the mystery of ownership and the further deterioration it won’t be long before this grand house is no longer with us. Hi Alicia, I clicked on your link & it sends me to “find friends” would you please send me a friend request on facebook?? I would love to see the pictures you have of the Wagner house. Someone posted a pic of the place but, they didn’t know where it is or anything about it. I have been searching for it’s location for quite some time && I finally found it today. My name on facebook is Rhonda Watson Russell & I live in Herman, NE. Thank You So Much! I have been taking pictures of the house over the past three years as I traveled through the Village to have my car serviced in Nelliston. I will post them on my Facebook page. I have been hoping to use them for reference in a painting in process. For anyone interested in the Webster Wagner house. This past Monday May, 21, 2013 it was sold for back taxes and $1,000.00. The man who purchased the home is from downstate NY and he has restored and remolded several other homes down in the Catskills. My mother spoke to him about the home and will be asking him if we can go inside for one last look. This home was a big part of my families history and it would be so wonderful to see it again. I am sure that what we see if we are allowed inside can’t compare to the memories but I am hoping that the memories will take over and bring joy to us. We, my family members, are excited that this man purchased the home. Not sure what he is going to do with it but hope and pray it’s something special. If we are allowed in and if we are allowed to take photos I will try to post some here. It just breaks my heart to see a once beautiful home fall into such disrepair. Thanks for the update, Robine. I’m crossing my fingers that he preserves the home! Well it’s official. The house is dead ! We were able today to meet with the man that bough the house and take one final look at it. What we saw just broke our hearts. Years of neglect… for what spite and anger. The previous owner once wanted to turn it into a bed and breakfast and the village said no. So he chose the path of vengeance and hate and took it out on the home. I am sure there is a special place in the universe for a person who is that hateful. I just hope I never find out where that place is. The roof is gone and it has collapsed onto the second floor. The floors inside that we could see where collapsed into the basement. There was so much trash and garbage that there was no way you could walk though the house. The ceilings were all collapsed and the walls looked in places like they were buckling in and this is what we were able to see from the outside. Think of hoarders on steroids and you have a good image of the inside. With that said here are my thoughts. I live only a half hour away from Palatine Bridge and it is a place I avoid driving though when I come home from Johnstown. I avoid it because of the house. The house meant so much to me when I was a child and not so much the house but the people that lived in the home. My Great Grandfather Jason B. Coppernoll and my Great Aunt Thelma Borst. They are and will always be the two most wonderful people in the world to me. They are gone now but my memories of them and my love of them remains strong in my heart. I wasn’t sure today what to expect. What I was hoping was that we would walk into the house and other then a few pieces of trash I would see the house as I remember. Smelling of Beechnut candy, pipe tobacco and what ever concoction Aunt Thelma was making in the kitchen. I’ve driven by the house many times but I guess denial was always my passenger. Today reality was the passenger and I wish with all my heart that he had found another car to ride in. Funny as this sounds the beauty of the home is still there in my heart. The tears I shed today were for the loss I felt. The loss of my Great Grandpa and Aunt Thelma. But, I know that one day I will see them again and when I do they will be standing in this beautiful home waiting to greet me and welcome me home. Like Grandpa use to say “If I don’t see you through the week, I’ll see you through the window.” As a kid I never really understood what he meant by that until I stood on the other side today trying desperately to see beyond the garbage and the destruction and into the past. My heart aches for what I saw and my heart aches for what my mom say today. I’m not sure why we went but it felt like a compulsion. It was something I had to do and in the end I’m glad I did. Because even though the house is dead my memories are alive and living in me and my family. This house was a big part of my families life and it will remain a part of our lives. We did take a few pieces of the home with us when we left but what I took the most with me was my memory and the love that was always there for me in that home. They say you can’t go home again that it’s just a memory but sometimes memories are the your future. Memories are what we build our lives on. I will continue to share the story of the Webster Wagner house and my families relationship to it and someday I will be able to walk through the home again. I’ll hear my Grandfathers radio playing and smell his pipe tobacco as he sits at his desk and reads. I’ll try to snitch candy from the Waterford crystal bowl on the coffee table and I will see my Aunt Thelma standing there smiling at me and telling me to take just one piece. Then I will feel her hand as she gently rubs my hair and I will know in my heart that I am home. 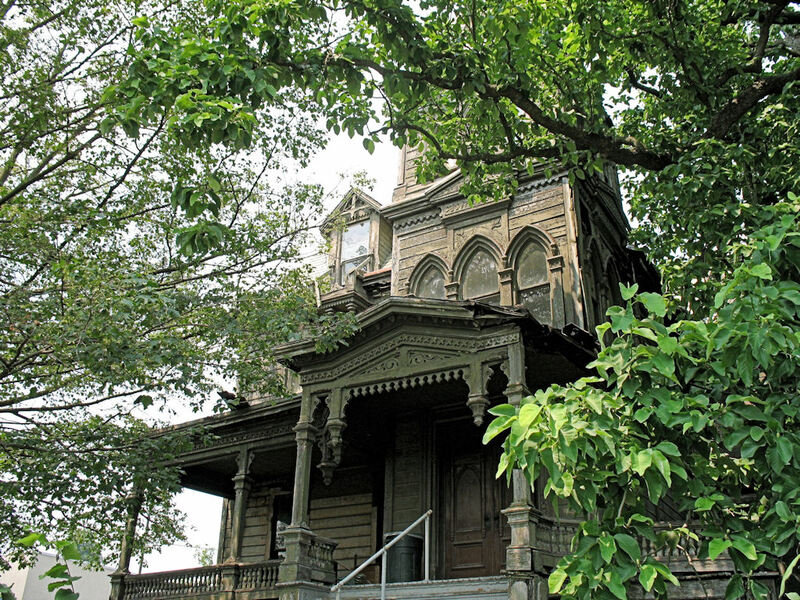 That Webster Wagner is home and all the lives that this beautiful old home touched will join in celebration. Oh, Robine, I can hear the heartbreak through your writing. What a terrible shame. It’s nice to know that the good memories are still in your heart. Robine, I’ve never heard such a sad story about a house before. I’m so sorry that this is what has become of your family’s home. I also do not understand how anyone could be so darn mean as to take it out on a place that should be cherished. And I don’t understand why the village did not go along with the idea of a B&B here….now they have to deal with the destruction of what was once the gem of this area. When did your family leave this place and to whom did they sell it? 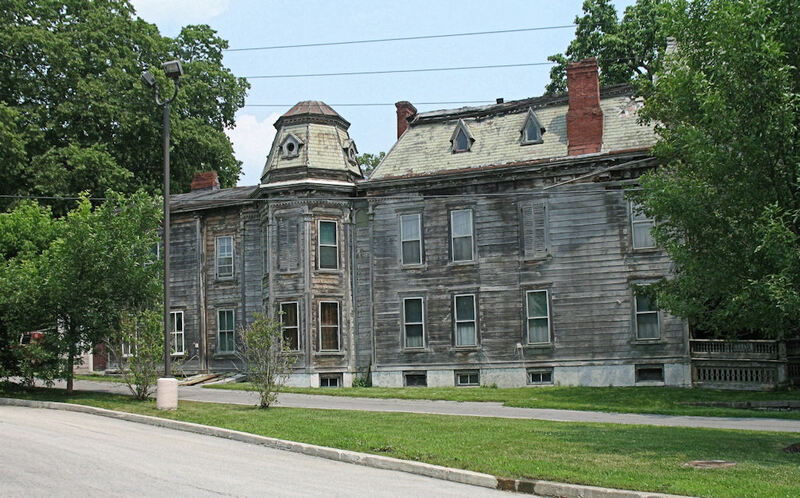 I’m always interested in the “lineage” of a historic home….How sad that a place so rich in history was not preserved and, instead, comes now to this demise. I truly feel for you…. I grew up across the river from this house, in Canajoharie. I want to caveat what I’m about to say by saying I have no insider knowledge about why the village denied the B&B or why the person who owned it behaved the way he did. However, the village may have had issues with the lack of space for a parking lot big enough to serve the number of guest rooms planned, the ability to reconfigure the floor plan to meet state-imposed handicapped accessibility requirements, the safety of an entrance/exit driveway onto Rte. 5, or even water/sewer issues. I only mention this because someone tried to convert a home into a business/apartment building near where I live now, and these were some of the problems that were discussed. On the other hand, I hope that the person who “abandoned” the property and the person that bought West Hill School in Canajoharie and then gutted it and abandoned it, end up in the same corner of hell, the corner where the temperature is always 30o below zero and the inhabitants are homeless and naked. I was able to find this old mansion while heading to the World Fantasy 2007 Convention in Saratoga Springs NY. I had stumbled across a photo of it a couple years earlier, and was thrilled to learn it would be near my route. Sadly, got to the house too late to take really good photos, but they are enough for some artworks I’ve wanted to make sometime soon. I hope all who can will go take many photos from all sides of the house, in all types of weather, and post them on the internet before the house is torn down. I’ll have to check and see it I added my pictures to Flickr or not (I’m a bit forgetful). To see what style I’m thinking of for the house, you can see what I’ve done to other houses. If anyone remembers the paint colours from the past, I’d like to make the house look like new too ! Tom – I love your Locust Mount piece! Is that located in Canada? I viewed your gallery and found your pictures to be beautiful and very haunting. As a decedent, and a person spent many hours and days in the Webster Wagner house with my Great Grandfather and Great Aunt I have a terrible time thinking of this home as the demolished mess that it has become. To me the house will always be a beautiful place of memories and love. I can not imaging it as a ghostly haunt with distorted colors and images. I just ask one thing. At one time it was a home of love and joy please remember that when you take your pictures and create your images. Thank you. 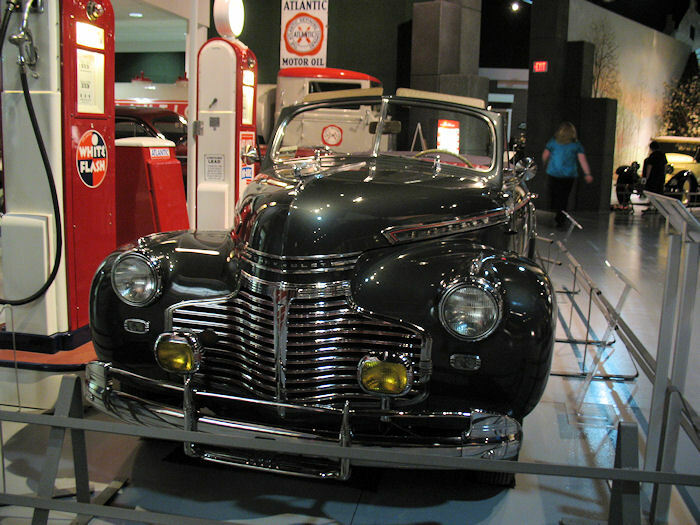 It WAS located here in London, Ontario, but it met the wrecking ball after a second vandal fire made it to dangerous to rebuild. I made the picture a couple of weeks after it was all gone, so that it, and those who let it get so bad, won’t have the town folk forget it too easily. The first guy to buy a print from me, lived a little down the street from the old mansion. I think it had been the house of our first Mayor. Hi Robine. I’m curious to see if I can make two versions. One, a “lightly” haunted look, probably how it might have looked in the 1960s-1980s. Two, reconstructed to look as it did when Mr. Wagner was alive, probably a late spring-early summer look. In both pictures, I want the house to have it’s complete porch and balcony. Any idea of the early colors of the exterior ? 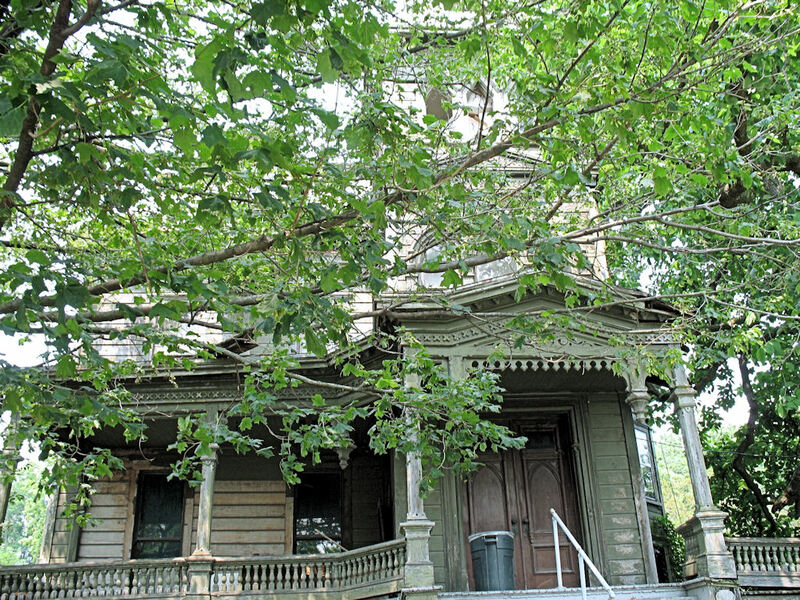 Charlton NY has a cool gothic revival house, 4210 Jockey Street. I have always had an interest in this house since last year when I found it while doing a project for school on finding historical sites. I drove by today and they seem to be doing work. People were working on the roof and they started replacing wood on the window by the front porch. The vegetation is so thick around it but I was able to see this happening. I love the house and have been wondering what it was like back in its time. Then I found this website and was happy to see people cared about the house. That is great news Phillip! I am very happy to hear something is happening to the home. I’ll have to take another trip before winter sets in. is this house still standing has someone saved it from being torn down ? I would be very interested to hear or see any other pictures of it. Yes Sandra the house is still standing I do have a few photos but it is very hard to see the house due to the vegetation around it. The house was being tore down because there are cones and a fence around it. But it looks like the owner is doing something and fixing up the house. Hopefully the house will be saved! What a beautiful place thank you for the story, I loved it, I’m sorry the house is in such poor shape. Check out the new pictures I posted of this place today. In just two years, it has gone to pieces. Literally. It was heartbreaking to finally see the Wagner mansion in person today, after having seen pictures and reading about it for quite a while. It is in dreadful shape, and it is being taken down. The tall chimney has been removed and the bricks are on the ground, leaving a hole in the roof—or what is left of the roof. The slate has been removed and is in piles on the ground in front of the house. The porch has been completely removed. The cupola is broken open and you can see what looks like murals painted on what is visible and left of the inside ceiling. Clearly, as Robine posted earlier, the roof and upper floors have come down into the lower section of the house. It seems almost miraculous that the outer walls are even still standing with all the destruction that has occurred inside. It is as if the house is defying its approaching demolition. It is about the saddest house I’ve ever seen, knowing how grand it once was and especially knowing, from Robine’s posts, about the vindictiveness of the one owner who let it fall into such a terrible state. I will be haunted in my dreams tonight over this sad story. Mom saw for the first time murals that you are referring to last week when she was there. My Great Grandfather closed off that tower when he lived there and they were pretty much untouched since then. Pierre has also been able to rescue several items from the home. Victorian style dressers, some other older pieces none of it belong to my Great Grandfather but it was nice to see the older pieces saved. According to my mom a lot of the features from the house were not there when Pierre finally got in. Parquet flooring was ripped up, the woodwork was gone, wainscoting missing etc. So, it was probably a shell for a long time. It’s just a shame that Barry Woods (Wood) did this to the house but it was his house and I guess in the end he could do anything he wanted to it except turn it into a Bed and Breakfast. Personally I don’t think he is solely responsible for the destruction of the house. There is enough blame to go around for everyone who had a hand in it. It is somewhat comforting that so many people are grieving as am I about the demise of the Webster Wagner House. It seems to be being torn down helter skelter; literally thrown and pushed down from the inside. No containers or sorting. Soon the pile of debris will be as high as the remaining first floor walls. Robine’s writings have added a layer of pain to all I knew about the house. My painting of it, in it’s last days, the two trees in front literally tearing down the porches hangs in my stairway now; but eventually I will give it to the historical society or Village hall. A really missed opportunity. It was not that old a house; mine is 202 years old. I think that the man tearing the house down is doing it in the safest manner possible. The house literately was falling in on it’s self. The only things really remaining were the outside walls. Everything else seemed to fall in toward the center of the house when the roof collapsed. Pierre has been able to save a lot of things from the home. Including some long forgotten fresco murals that were paint on the walls on one of the towers. Given the circumstances and the destruction of the house I am surprised that Pierre was able to save anything. Has ANYONE taken any photos of the house in the last year, month, DAY ??? Please do soon. Put them on Flickr maybe, or Panoramio. With all the people interested in a place such as this, I’m surprised and saddened that there aren’t hundreds of photos of it on the net. There are dozens of pictures of the “Mud house Mansion”, and that house is fairly difficult to get near (no trespassing, and out of town in it’s location). Please take many photos, before it’s too late. Even in it’s current state, the images would be stunning. Webster Wagner was a distant cousin of mine. 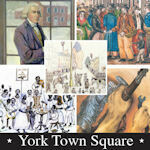 You can find information about his life and houses from the Dockstader Archives by Doris Dockstader Rooney. He built a Wagner Hotel, a residence for himself and similar ones for his son and daughter. I think this is the only survivor.